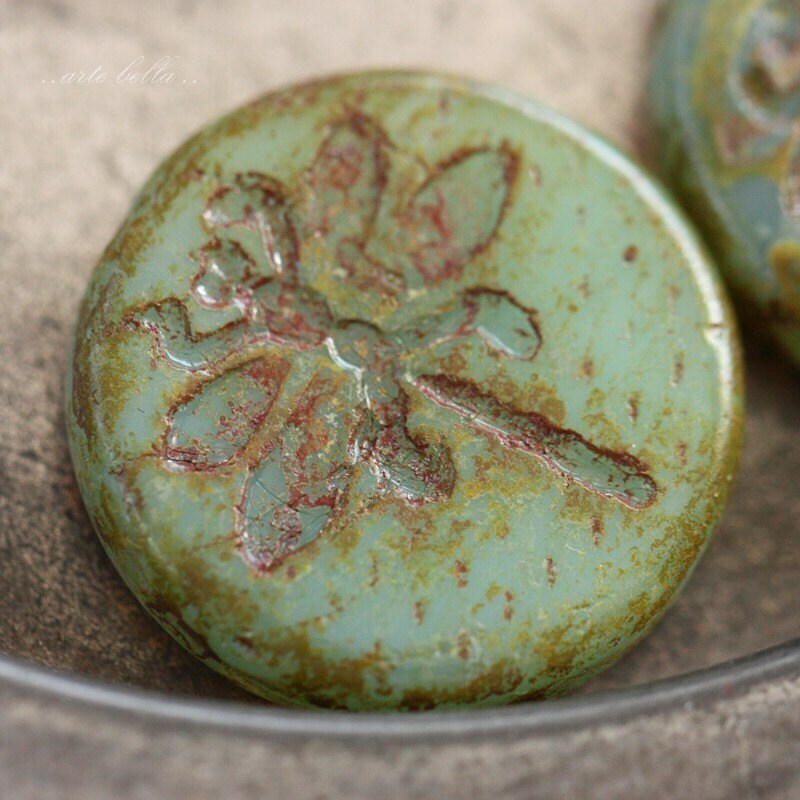 Gorgeous - depending on lighting, these round dragonfly pressed glass beauties change in color from light olive green to light aqua blue. A mix of translucent and milky opal glass with an earthy Picasso finish. When I found these. 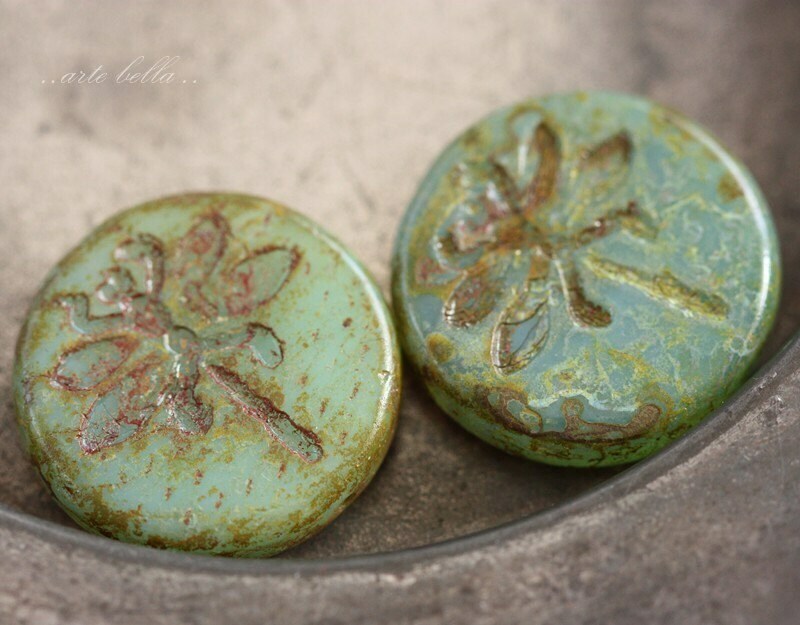 I fell in love with them - dragon flies are a favorite insect of mine. So many possibilities with this shape /size - earrings, cabs for rings or pendants. 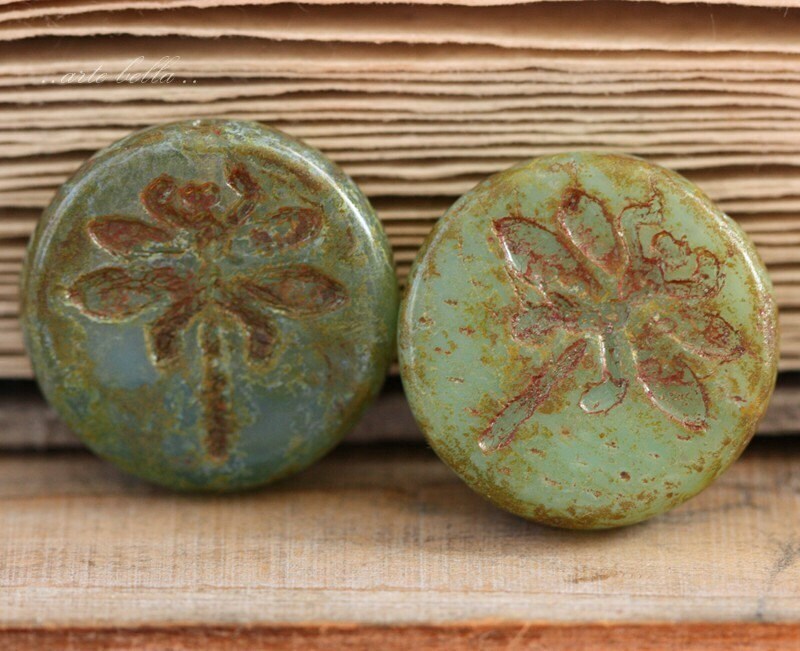 These dragonfly beads are always a favorite. 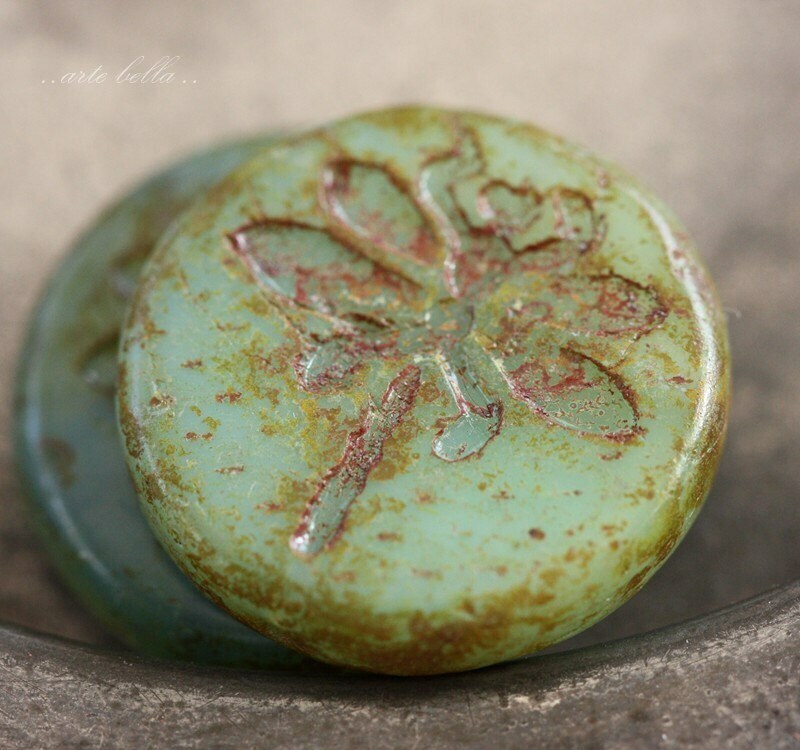 Love these dragonfly beads! Thank you for hand-picking these. Fast shipping and great communication. 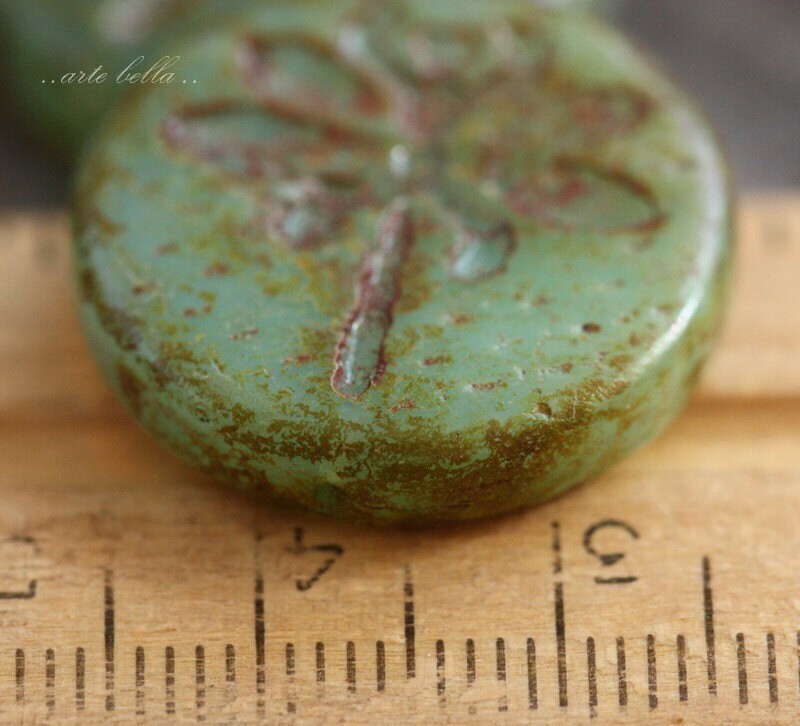 Another very pretty bead! Thank you!